"The Curious Case of Betsey Johnson" is a celebration of Betsey Johnson's 50th year in fashion. It was the party of the "half-century", the Betsey Johnson way! Live music from the DJ, champagnes all around, tons of balloons and lots and lots of tutus backstage. There were 25 models showcasing the 5 decades of Betsey Johnson fashion. When it came to hair and makeup and nails, they have narrowed it to 3 looks to make it easier backstage for the stylists to get it done in less than 2-3 hours. 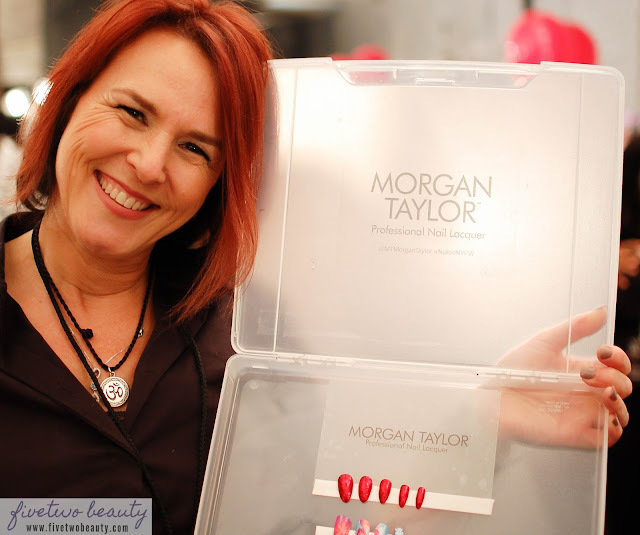 Morgan Taylor lacquer lead artist Danielle Candido came up with three nail art designs that complements the outrageousness of Betsey Johnson. According to Danielle the first look is "Everything Betsey"
"Everything I see her as and through our (Morgan Taylor Lacquer) colors..."
You can find all the Morgan Taylor nail lacquer shades, HERE! Finish with Make It Last topcoat. Mod Look for the 60's and 80's era in the show. "She (Betsey Johnson) wanted something bold, something striking. There's a lot of black and white and a little bit metallic in the line...And color blocking is ideal for the look." Psychedelic marbled mani that focuses on bright pinks and blues. 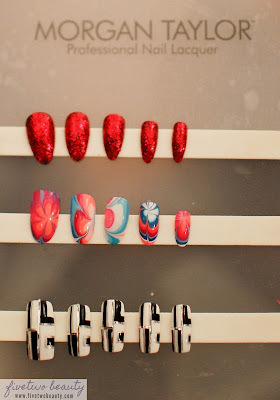 "Each nail has a different design and a different pattern to it"
Using the watermarbling effect to get the different designs on each nails. For the short amount of time the nail artists have backstage, all nail arts were done on artificial nails, days before the show. 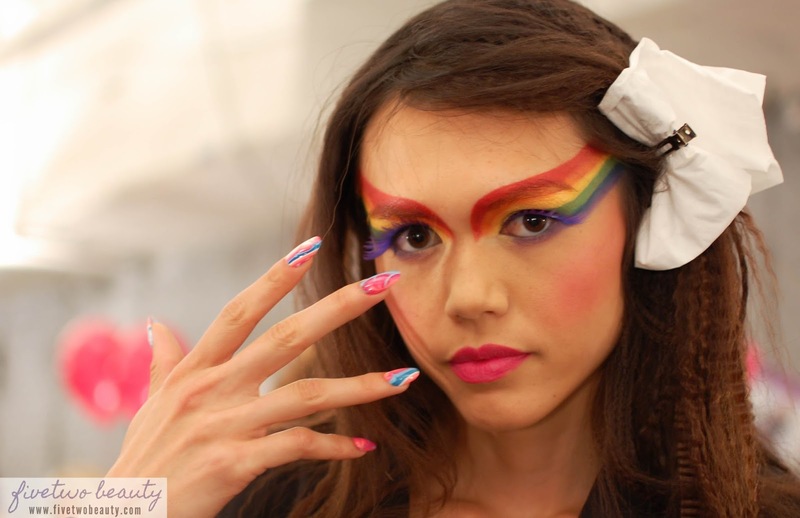 These are such fun nail looks just like Betsey Johnson's collection is. So which nail look will you want to rock for Spring 2016?! ?